The cost of servicing the Common Rail aftermarket can be too costly for workshops entering this exciting and profitable sector so Hartridge has released the IFT-200 to meet this gap in the market. Simple to install and run, the IFT-200 is affordable yet fully-featured and, as always, supported by Hartridge’s unrivalled service network. 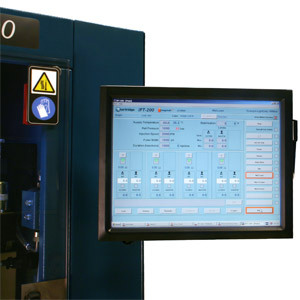 The new Hartridge IFT-200 Common Rail Injector Function Tester provides a low cost, full pressure solution to allow workshops to offer injector testing to their customers, creating new revenue streams and greater customer retention for the workshop. This provides a unique opportunity for workshops to enter the Common rail market with “All Makes” testing and then progress with a defined path and Buy Back* scheme to an authorised network solution. 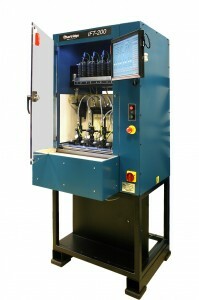 Fully featured yet economical to purchase, install and run, the IFT-200 provides a platform to assist workshops to take advantage of the rapidly expanding Common Rail market, allowing revenue and profit to be generated from the testing of injectors plus the opportunity to retain more customers and more work within the workshop.